Capture their attention with this radiant bouquet of premium long-stem white roses. 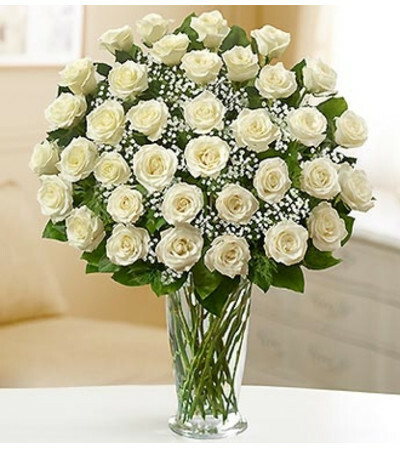 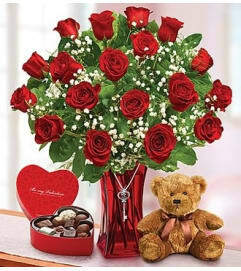 Elegantly arranged by our select florists, these symbols of eternal love are gathered by hand in a classic glass vase to express your feelings with grace and sophistication. Two dozen roses.